Last week three Economic Institutes hosted CEVES representatives – “Austrian Institute for SME Research” from Austria, “GKI Economic Research” and the “Institute for Economic and Enterprise Research” from Hungary. 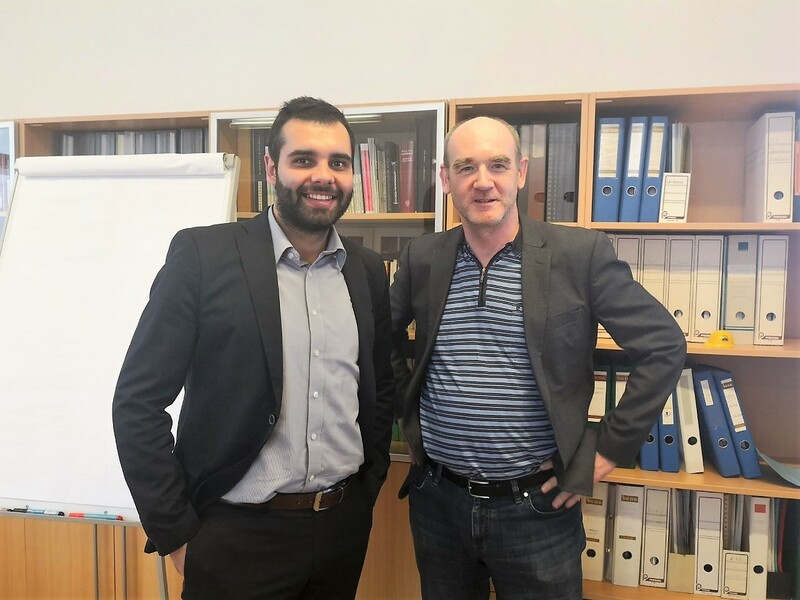 Director of CEVES, Mr. Nemanja Sormaz, with his associate visited Vienna in order to establish and develop cooperation with international partners. All three institutes, in the focus of their work, have research and analysis of small and medium enterprises, with emphasis on business climate monitoring, which is also in the CEVES research focus. Dialogue with relevant representatives was around exchanging experiences on methodology, management structure, as well as cooperation with decision-makers and enterprises. Representatives of CEVES have introduced the management of all three institutes with previous research and work of CEVES in Serbia on SME. This visit was arranged within the project with the German Organization for International Cooperation (GIZ) – “Private Sector Development”.